Southern Horticulture’s operating philosophy includes a commitment to “give back” to the local community and to the world. Our civic partnerships include Florida Native Plant Society, The Garden Club of St. Augustine, Florida Federation of Garden Clubs, The Matanzas Riverkeeper, Slow Food First Coast, Native Seed SEARCH, The Florida Wildlife Federation, Habitat for Humanity, Good Samaritan Health Center/Wildflower Clinic, St. Francis House, Betty Griffin House, St. Augustine Amphitheatre, Rotary International, The Woman’s Exchange, Boy Scouts, St. Johns County Technical High School, numerous Community Garden projects in neighborhoods and school garden projects in St. John County Schools. We recognize our fundamental responsibility to be good stewards of our neighbors and of the earth, and we gladly support others who work towards these goals. 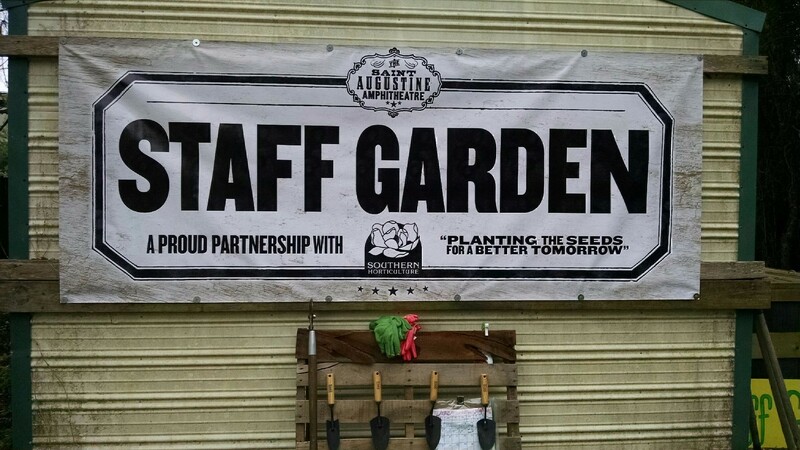 “Southern Horticulture has always been an extremely dedicated, reliable and professional partner for us at the St. Augustine Amphitheatre and the events that we do. They have been generous sponsors and helped create the perfect setting for the speaking engagement by President Bill Clinton, the Cuban National Orchestra performance, JJ Grey’s DVD release showcase and many other great events. Most recently we partnered with them on one of our bigger projects for our “Greening Initiatives” here at the Amphitheatre. Bill, Jordan and Hunter were extremely helpful and enthusiastic to work with us on the project and really put together a beautiful and sustainable staff garden. They were “hands-on” the entire time and continue to work with us to make sure the garden is in the best of shape. The artists that play the Amphitheatre are lucky enough to be able to eat straight from the garden, enhancing their experience helping us stand out as a staff and facility.